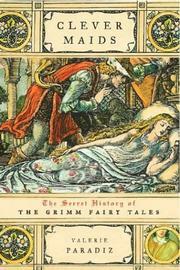 A myth-dispelling look at the work of Jacob and Wilhelm Grimm, illuminating their debt to the unrecognized female storytellers who provided them with most of the tales in their collections. German scholar and translator Paradiz (Elijah’s Cup, 2002) corrects two widely held but contradictory beliefs: first, that the brothers Grimm were the authors of the stories that bear their name; second, that they traveled about the German countryside collecting them from simple peasants and farmers. Their sources, she reveals, were actually educated middle-class and aristocratic young women, though it’s true that their collections were prompted by the desire to preserve German culture against the threat of French dominion during the Napoleonic wars. Inspired by the success of Des Knaben Wunderhorn, a collection of German folk songs, Jacob and Wilhelm set out to preserve the nation’s cultural past by creating an anthology of its fairy tales. The daughters of the Wild family, neighbors and close friends of the Grimms’ sister Lotte in the Hessian town of Kassel, were their first source, followed soon afterward by the Hassenpflug daughters from another Kassel family. None were credited by the brothers, who presented their stories (in approved Romantic fashion) as representing the true folk spirit of the region. By the time the second volume of their anthology was underway, they had met the von Haxthausens, an aristocratic family with several storytelling daughters, and their relatives the von Droste-Hulshoffs. All were well versed in female lore and the folktales’ lessons about proper behavior. Paradiz quotes extensively from the stories, finding parallels between the anonymous tellers not considered worthy of recognition by a male literary culture and self-sacrificing fairy tale heroines. Unlike male characters who go off to seek their fortunes, she notes, female characters often find themselves in severely circumscribed conditions until rescued by marriage to a powerful man. For a different view of fairy-tale heroines’ significance, see Joan Gould’s Spinning Straw into Gold in the December 15, 2004, issue of Kirkus Reviews. Well researched, well crafted: sure to be welcomed in women’s-studies programs.